Gretchen Maurer's writing has been published in Frances Mayes' The Discovery of Poetry, and in Adventure Cyclist and Highlights for Children magazines. She also co-wrote a short film, Alma, that has won multiple awards. 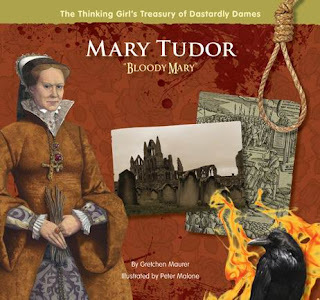 Mary Tudor, "Bloody Mary" is her first picture book. She lives in Northern California with her family. 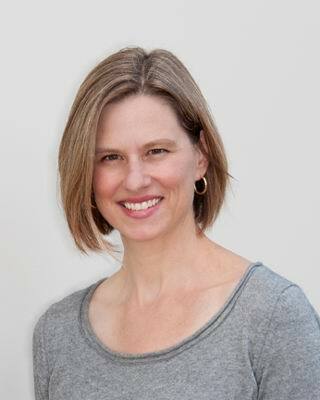 Gretchen: I live in Northern California with my husband and three kids. I’ve taught high school and college English, and my writing has been published in The Discovery of Poetry and A Cup of Comfort for Mothers to Be. I co-wrote the screenplay, Alma, a short film that has screened in film festivals throughout the country, and I’ve written for several magazines, including Adventure Cyclist and Highlights for Children. Mary Tudor "Bloody Mary" is my first picture book. It’s a biography for 9 to 13-year-olds, published by Goosebottom Books. Gretchen: My big, white, Ikea desk, just off the kitchen, is my base. But when no one’s home, I prefer to write with my laptop at the kitchen table, because I like the view of the trees and the valley below. I used to share an office in town, and I loved that, but I gave it up a few years ago because I couldn’t justify the expense. Sometimes, when I really need to concentrate and I’m getting distracted in my house, I park my minivan in a shady spot somewhere in town and work from my car. It sounds crazy, but until my neck starts to seize up, it works. What is the best advice you've ever received? Gretchen: I’ll go with my mom’s mantra: Be Yourself. It took a while to know who that was, but I always knew it was something to shoot for. I’ve realized that it’s essential to Be Yourself as a writer, too. See the world as only the way you see it, and share that—your perspective; your take on a person, character, or event—the way only you can. If you could have coffee with anyone (living or dead, real or fictional), who would it be and why? Gretchen: I’d want to meet my maternal great grandmother. She lived in Norway and raised my grandfather there before she and her husband, my grandpa, and his siblings moved to Minnesota (I think my grandpa was six at the time). When my grandpa was in his nineties, he slipped and fell. His brain swelled, and the doctors found fluid in his brain. I visited him in the hospital, and to my shock, he spoke to me Norwegian—on and on, something about the free church. I’d never heard him speak Norwegian before, so listening to him was interesting and upsetting at the same time. Later, I started thinking more about what my grandpa’s childhood must’ve been like, and wishing I could meet his mother—to talk with her, sleep in her house, and taste her lefse and fish cakes. What are your top three favorite books and why? Gretchen: It’s hard to pick three favorites, but here’s three off the top of my head: The Beet Queen, by Louise Erdrich, because there are some scenes in that novel that are just perfect; East of Eden by Steinbeck, because of the characterization and setting; and The Girls Guide to Hunting and Fishing, by Melissa Bank, because of Banks’ humor and restraint. Gretchen: The Velveteen Rabbit. I loved imagining that rabbit coming to life, and thinking about the question the story poses, What is Real? Gretchen: I don’t know if it’s interesting, but I’m co-writing a novel right now with a friend, and now that we’re at the editing stage, we’ve noticed that our characters tend to breathe and nod too much. We’re in the process of editing a lot of it out, to keep our book from being hijacked by hyperventilating bobbleheads. What are your current marketing strategies for Mary Tudor, “Bloody Mary”? Gretchen: I’ve been giving talks and doing book signings at bookstores, book fairs, and literacy conferences. I will soon be visiting classrooms, too and I look forward that. I also have a Facebook page for my book: http://www.facebook.com/MaryTudorBloodyMary. There’s also information about my book and the other books in the series, including the link to the publisher’s facebook page, at www.goosebottombook.com. Could you share about any current writing projects? Gretchen: I’m finishing up a novel I’m co-writing with a friend, targeted at the women’s fiction market. We’ve been at it for a while, so I cannot wait to complete it and send it off. What would be the best way for readers to contact you? Gretchen: They can contact me directly by email: gretmau@yahoo.com. Where can people find your book? Natasha Yim’s current book, Cixi, The Dragon Empress and Gretchen Maurer’s current book, Mary Tudor, “Bloody Mary” are two of the six books (all written by different authors) in Goosebottom Books’ series, The Thinking Girl’s Treasury of Dastardly Dames. The series profiles six women in history who have earned dastardly reputations. You can find out more about Natasha Yim and Gretchen Maurer’s World of Ink Author/Book Tour schedule at http://storiesforchildrenpublishing.com/YimandMaurer.aspx. There will be giveaways, reviews, interviews, guest posts and more. Make sure to stop by and interact with Yim and Maurer, along with the hosts at the different stops by leaving comments and/or questions. In addition, come listen to Blog Talk Radio’s World of Ink Network show: Stories for Children at http://www.blogtalkradio.com/worldofinknetwork. The hosts VS Grenier, Kris Quinn Chirstopherson and Irene Roth will be chatting with Natasha Yim and Gretchen Maurer about their books, writing, the publishing industry and experiences with virtual tours. Yim and Maurer will also be sharing writing tips and trials, and tribulations of the writer’s life. The show will be live November 14, 2011 at 2pm EST. I love the book idea for Bloody mary. I know my oldest daughter hates history. If there had been clever books like this for her, she might be more inclined to delve into the subject more. Kudos! Terrific interview! Best wishes for your continued success! Great way to portray history in an interesting way! Great interview. Books that incorporate history in engaging children's books are so important. Best wishes for your book's success. 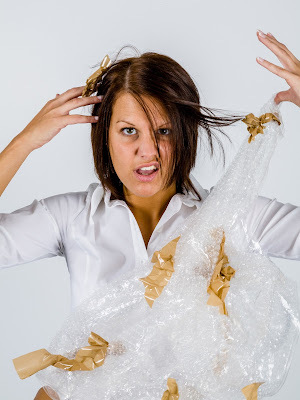 Feeling Stuck? Try These Writing Prompts! What are Your Promotion Goals?